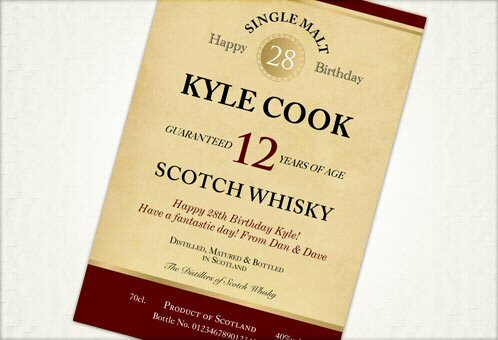 Our personalised bottle of Single Malt Scotch Whisky makes a unique and wonderful gift for a special occasion. Whoever the recipient, or whatever the occasion, personalised whisky makes a great present. Not only can you personalise these bottles with the recipient's name and special message, you can also choose from a range of superb label designs, specially created for any occasion and recipient. Our premium min aged 12 year old Malt is The Glenlivet, winner of many awards and one of the oldest and most well known Single Malts. 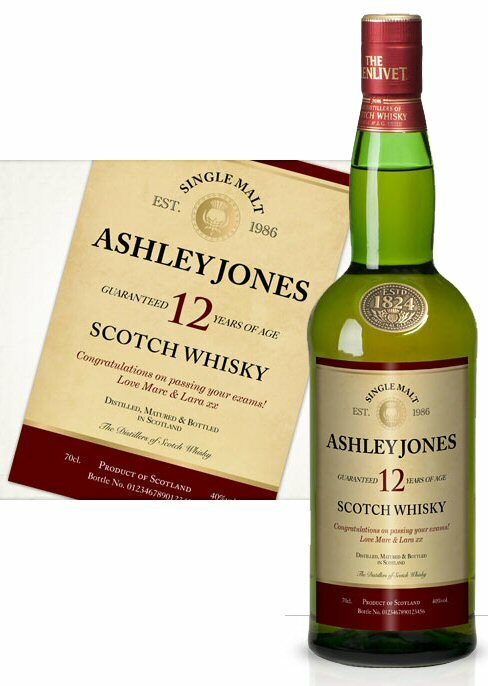 An iconic Speyside whisky from George & JG Smith Ltd established in 1824. Is has a lively gold colour, playful interlacing of fruit and floral aromas. A perfect balance. Our labels are printed using the highest quality waterproof inks and water resistant paper stocks and are highly resistant to scratching. Wedding Role (Wedding Label Only) . Role of the recipient at the wedding. 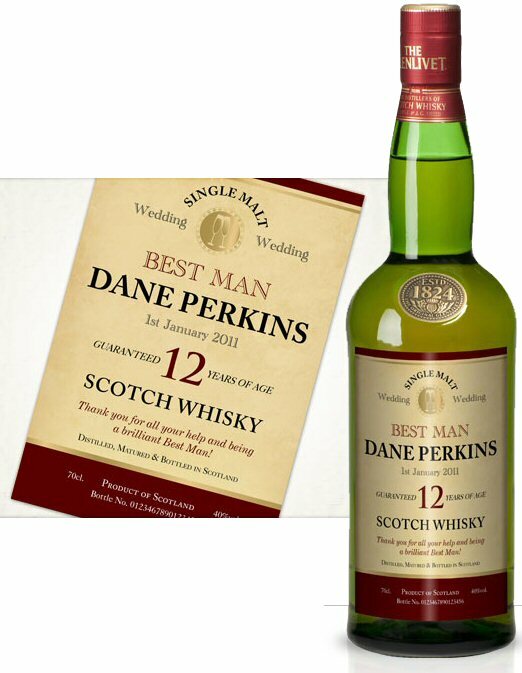 Wedding Date (Wedding Label Only) . Date of the wedding day that will appear on the label.